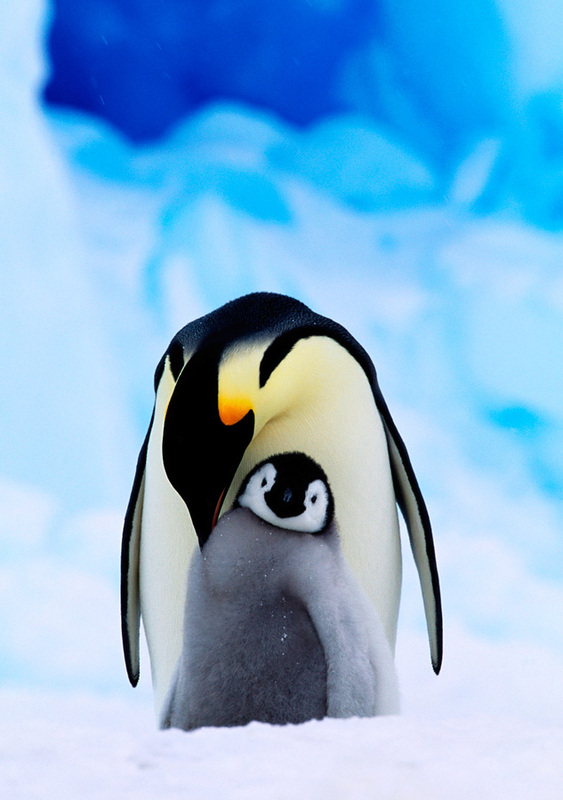 Standing about four feet tall and weighing as much as a hundred pounds, emperor penguins (Aptenodytes forsteri) are the largest of the penguin species. They survive the icy Antarctic gales by huddling together en masse and taking turns on the outside of the group to shield the others. They’re impressive divers as well, swimming to depths of 1,850 feet (565 meters) and holding their breath for twenty minutes in the chilly seas.